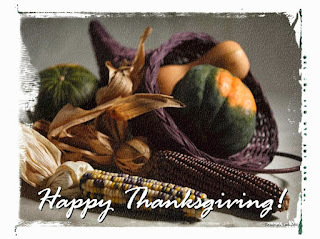 For those in the USA, I wanted to wish you a very Happy Thanksgiving! No matter where you call home, I'm thankful for the Lord and you! 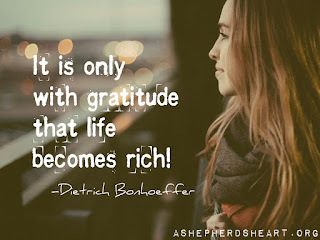 For all of us - no matter where we live, I pray that we truly cultivate an attitude of gratitude all year through and below are two brief encouragements related to having a mindset of thankfulness, gratitude and praise! God is worthy of your praise, thanksgiving and devotion!...and His love endures for you endures forever! He is worthy of devoting your life to Him serving Him with a whole heart, mind, soul and spirit! When you pray...praise and thank Him for all that He's done and all He continues to do in and through you! Praise Him through every season! Through the seasons of peace and the seasons of storms. Don't wait for holidays or some other special occasion to praise and thank Him! Make it a habit and again as I've shared before...have an attitude of thanksgiving and gratitude! When you take your first breath in the morning and open your eyes...breathe out thanksgiving to Him for life and a new day to serve Him! Never stop singing and speaking His praises!